In very basic terms WordPress is a tool that enables you to build a website with a blog, or just a blog, or just a website if that suits you best – something you can edit it yourself. WordPress started off as a blogging platform and fast became popular as a content management system (CMS) for websites with millions of us working with this wonderful open-source system. Why should you think about using WordPress? most people can get to grips with it – the bods that be work at making things simpler to work with all the time – each new release (expect these at least twice a year) will bring you better usability. there is a lot of help available if you get stuck, both within the WordPress forum and beyond. you can edit and update your own web pages, adding new content to suit you, removing as you wish. if you want to move your website/blog, you can – the system does not “belong” to someone else. you have a powerful central focus for your social media. there is a wealth of extras available. and it’s free – well the system itself is, you will need to invest your time or money to build what you want and to keep things ticking along happily. Then consider whether you need to install your own WordPress or if a simple blog at WordPress.com is sufficient for your needs. 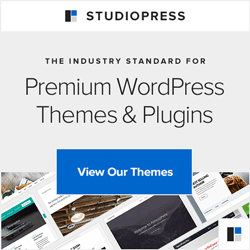 The Blogmistress team works with every aspect of WordPress, both as a powerful blogging tool and as an efficient content management system for your website. Whatever kind of help you want with WordPress, you’ve come to the right place… Several times a week you can read a new blog post about some aspect of this powerful tool that will be useful (we love being useful). You can also “Ask Babs” any questions about WordPress, and we have regular health check sessions during which we’ll do what we can to help you with your WordPress or blogging issue. You have so many options available to you and for your online marketing activities and it can get confusing to know just which of these wonderful Internet tools is going to work for you. At the end of the day, that is what it must to – the web must bring you more business, more visitors, more of whatever it is that you want. And it is simple to do – none of it is rocket science. That’s what we do – help make it simple for you to make the most of the web. The Blogmistress team look after you to whatever level you want help and support – from an hour’s time to figure out something that’s taking you longer than it should, to a full set-up of your website or blog, to the monthly Blogmistress service that takes care of all the geek side of things and keeps things running smoothly.